Adjacent to Malad Railway station towards south, with total accident counts to 134. Jogeshwari Station near crossing, Number shows 217 accidents. Another location at Jogeshwari towards south is Shri Sambhavnath Bhagwan Jain Temple showing 174 victims. Another after East west sky walk prone to more accidents numbering 165 and 397 respectively. 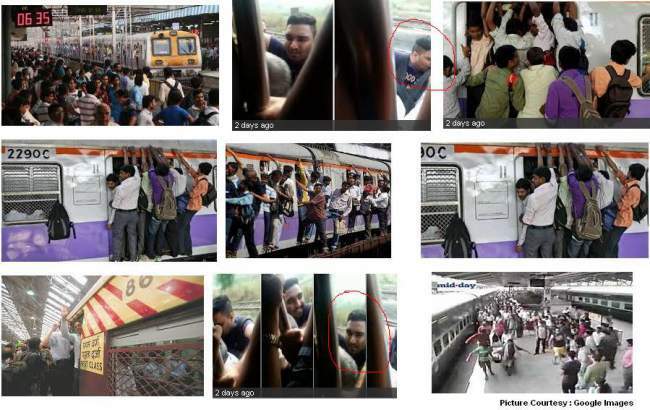 Vile Parle Station in Western railway route shows total of 160 accidents. In Central railway off Govandi railway station, It shows far from station with 158 total accidents. Mankhurd station shows the toll of 234. Vashi railway station near Udyon mandir (Temple) shows accident count as 132. 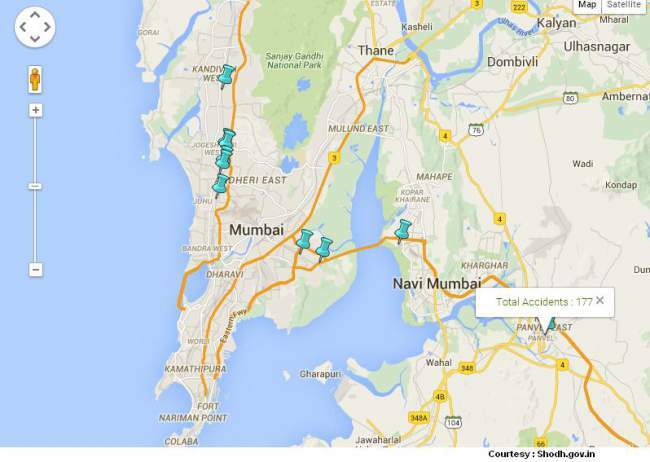 Panvel station near Junction have shown 177 accidents till date. As per our leading newspaper Hindustan Times, total number of deaths due to accident in Central Railway Route is 2221 and 1202 in Western for 2014. Previous to that in 2013, 2270 (Central) and 1236 (Western). Injured counts to 2062 in 2014 for central and 1237 for western. For 2013 total railway injuries were 2062 in central and 1256 in western. See Also : Railway Map, Local Train Timings, Railway Station Names, Distance between 2 railway stations. 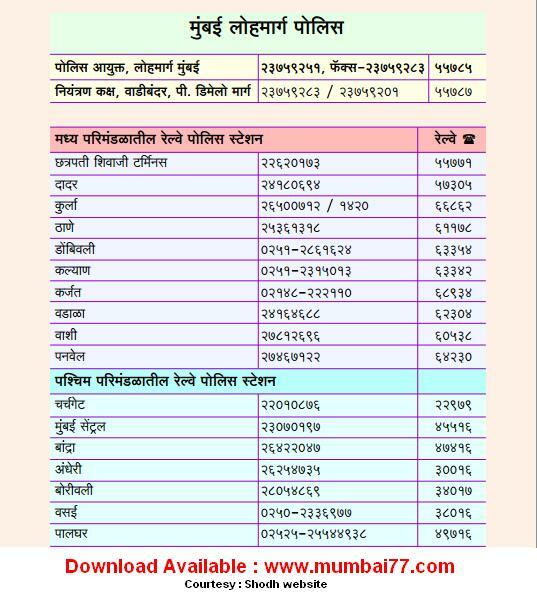 Statin wise railway police helpline numbers for CST, Dadar, Kurla, Thane, Dombivli, Kalyan, Karjat, Wadala, Vashi and Panvel stations in Central railway route. Similarly for Churchgate, Mumbai Central, Bandra, Andheri, Borivali, Vasai Virar, Palghar police helplines. According to the news and railway sources daily about 10 to 11 people falls victim an succumbs to death in Mumbai railway accidents. Help them save, dial helplines as listed below and inform the authorities. Recently launched women whatsapp helpline group. Also See : Major Important and Emergency helplines, Mumbai Pune Express Highway helplines for city. LOST + FOUND Luggage : Western Railway, Central Railway, Taxi, BEST Bus. For lost + found person info (How to search a accident victim person / How to report a person found lying) : Shodh Official Website.